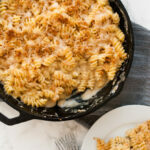 Easy, cheesy and delicious, skillet mac and cheese is a well loved family favourite. 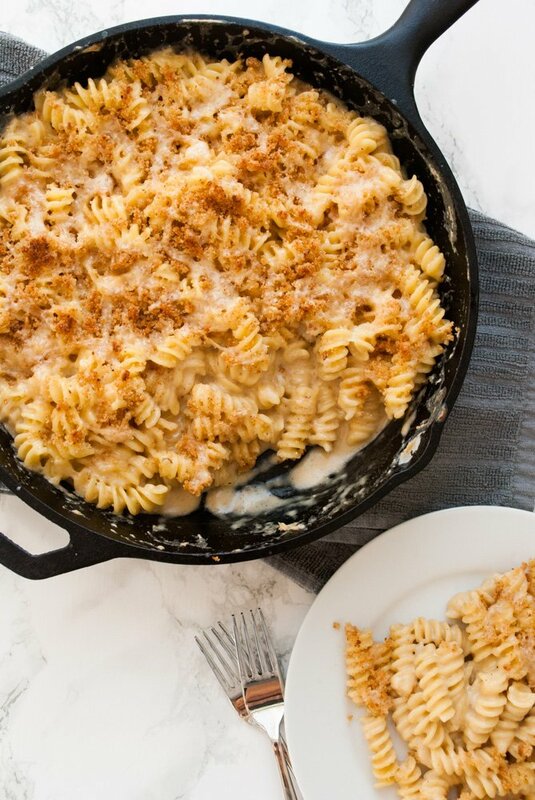 Straight from the stovetop to the oven for a quick broil to crisp the breadcrumbs and melt the cheese topping, this one pot pasta dish is perfect for weeknights! Is there anything more comforting than a big plate of cheesy creamy noodles? 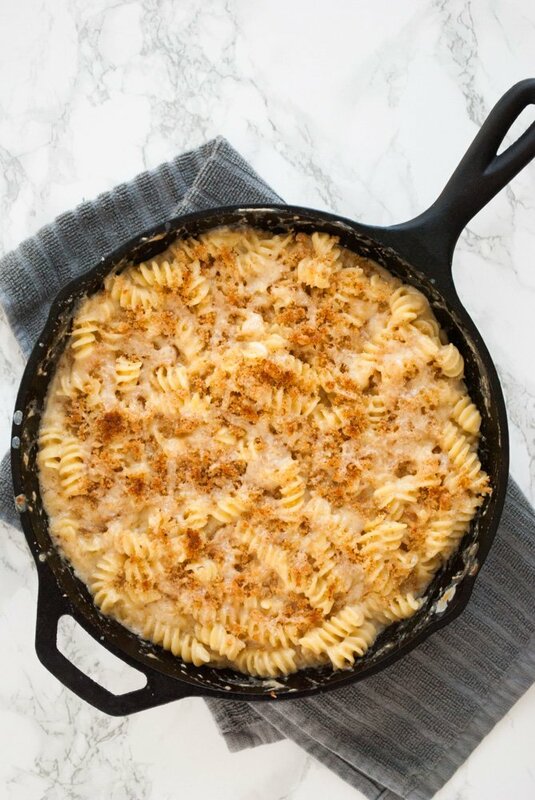 Homemade mac and cheese is a family favourite and I specifically love this skillet version because it makes this classic dish more accessible for a weeknight meal. A quick sauce, one pot for cooking and serving, and just a few minutes under the broiler instead of baking in the oven for 30 minutes or more. I use smoked white cheddar in this recipe because I love the extra level of flavour that it brings to the dish, but if your not that into that kind of thing feel free to use any kind of cheddar (or semi-hard cheese) you like! Gouda, Havarti, and gruyere are also good options here. The ONLY thing I insist on is that you buy block cheese and shred it yourself! Pre-shredded cheese is coated with cellulose to prevent it from clumping and because of that it will not melt well. Start with a big pot of boiling and well salted water to cook your noodles. I used rotini here because I like the shape and how it grips the sauce, but you can use your favourite pasta here. Tubular pasta and other pasta with ‘grip’ work well in this recipe. I only wouldn’t suggest spaghetti, linguini or any other long skinny pasta. While your pasta cooks according to package directions, heat a cast iron skillet to just below medium heat. If you do not have a cast iron skillet you can use any other skillet that can transfer from the stovetop to the oven. Add the butter to the skillet and allow it to melt. 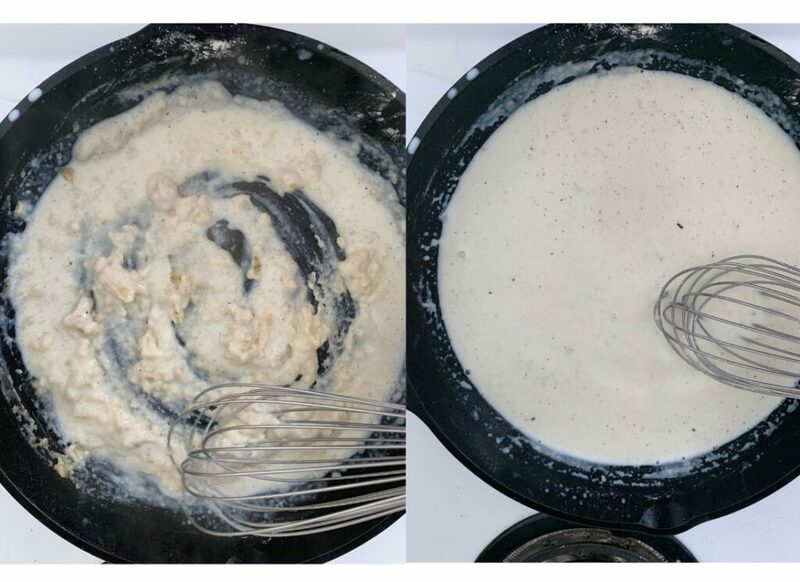 Once the butter has melted, add the flour and using a wooden spoon stir the butter and flour together until they have come together and formed a roux. Start adding the milk bit by bit to the roux while stirring constantly with a whisk. Adding the milk slowly will help to keep the sauce from getting lumpy. When all the milk has been added to the pan and mixed into the roux, add the Worcestershire sauce, dijon mustard and 8 of the shredded cheddar cheese. Reserve the last 2 ozs of cheese for topping when broiling the pasta. Whisk the sauce until the cheese has all melted then add the pasta and stir to coat. Combine the breadcrumbs with the melted butter. 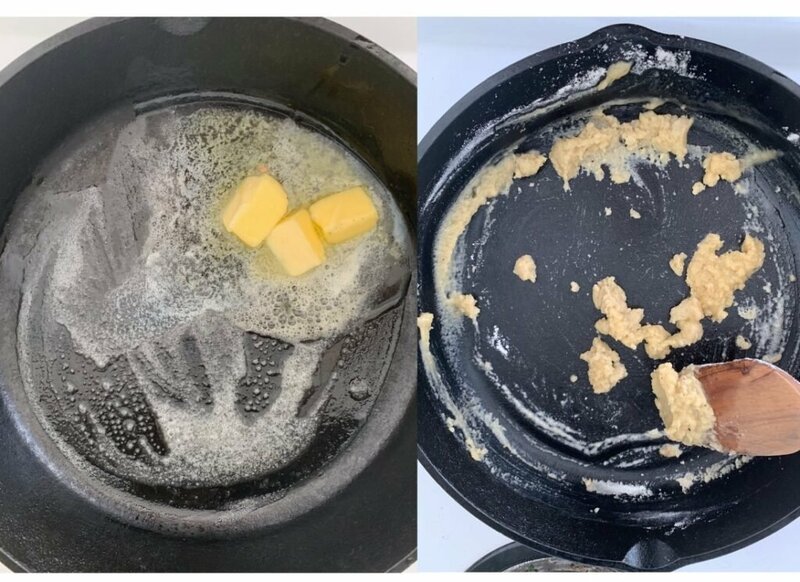 I use a small bowl to melt the butter in the microwave before adding the breadcrumbs, but you can also use a small pan on the stove for this if you like. Spread the breadcrumb mixture across the top of the skillet then do the same with the remainder of the shredded cheddar cheese. Put the skillet in the oven under the broiler and broil for 3-4 minutes until the cheese is melted and bubbly and the breadcrumbs are toasted. Basic tomato sauce – this fresh pasta sauce is an amazing simple pasta dish when paired with spaghetti or linguine! Put the top rack of the oven near the broiler and set to broil. Bring a large pot of well salted water to a boil and cook pasta according to package directions. Melt 3 tbsp of butter in a 12 inch cast iron skillet over medium. Whisk the flour into the butter to form a roux. Slowly pour the milk into the skillet and whisk it in to mix with the roux. When all the milk has been added, increase the heat to high and bring the sauce to a boil. When it boils bring the heat back down to low. Add the shredded cheese, mustard, Worcestershire sauce and whisk until the cheese is melted and the mixture is smooth. Add the cooked pasta to the skillet and stir to coat with sauce. Mix together the melted butter and breadcrumbs in a small bowl to make the breadcrumb topping. Sprinkle the top of the skillet with the breadcrumb mixture and top with the reserved shredded cheese then place in the oven under the boiler. Broil for 3-4 minutes until the cheese is melted and the breadcrumbs are toasted. Mac & cheese is my all time favorite comfort food! I hadn’t tried it in a skillet before but YUM!!!! 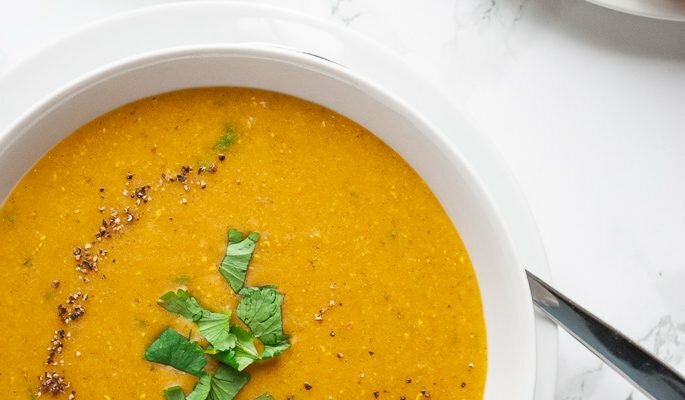 Such a perfect recipe when you’re hungry! It’s such a great comfort food! These pictures are so beautiful and look so yummy! 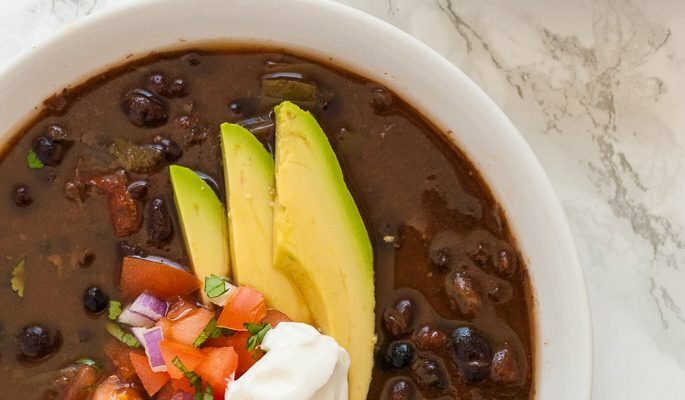 I love having the step-by-step photos to help me make recipes, looks amazing! 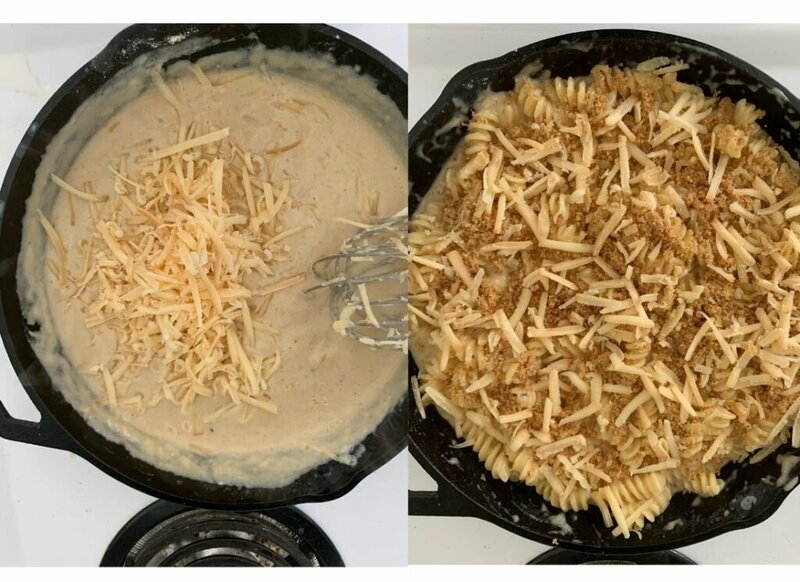 My daughter LOVES mac and cheese and has started making it for herself and she would so love this skillet version ! I’m happy to hear that!! Hope she enjoys it! Yum! Love that it’s made on skillet coz some days, I am too lazy to take that tray out and turn my oven on.